The emergence of online capital formation strategies such as equity crowdfunding or security token oﬀerings (STOs) signify a fundamental change in our capital markets and digital economy. It’s changing how companies access capital from all investor types, as well as giving those same investors exciting new opportunities to generate wealth and be an active stakeholder in private companies. This opportunity was not previously available to all investors, creating an untapped market. Like all fundamental economic shifts, regulations and market forces must come together to provide a successful and safe environment. New economic markets, such as crowdfunding or online capital formation, create great new opportunities for the Main Street investor, but also pose new risks. To combat new risks in new markets, investors look for a symbol of safety, validity and trust. Online capital formation - both equity and STO based- lack this symbol today. Before widespread adoption will occur, the marketplace needs a symbol of trust, safety, and conﬁdence among both issuers and investors to thrive; something that regulations and funding portals alone may not completely satisfy. The Securities and Exchange Commission (SEC) has put forth a great eﬀort to create new opportunities for all types of investors and issuers, as well as put certain safeguards in place to protect investors, especially Main Street investors. Equally, many crowdfunding portals are creating processes designed to create trust with potential investors and the issuers that raise funds through their platform. However, regulations and portal processes, cannot ensure the ability to actively pursue bad actors or recover funds lost due to mismanagement or even outright theft. This reality restricts the ability of issuers, media, and crowdfunding portals to symbolize trust, conﬁdence and safety to potential investors; something that they desire. Issuers, concurrently, have a need for protection against investor complaints and potentially, lawsuits. Introducing the crowd as investors have signiﬁcant advantages but also brings about signiﬁcant risks. Should the investors (“the crowd”) lodge complaints against the issuing company or fundraising platform, the company and/or the portal can be left vulnerable to massive legal fees and reputational damages, not to mention a signiﬁcant distraction from the core focus of growing the company or crowdfunding platform. CrowdProtector™ provides the essential third ingredient, addressing the lingering problems for both the investor and the issuer. 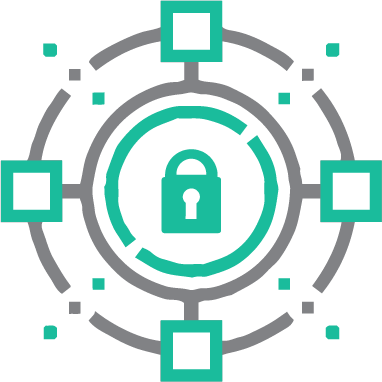 CrowdProtector™ is a tailor-made insurance product designed to protect new online capital formation strategies, such as equity crowdfunding and security token oﬀerings, allowing for a symbol of trust, conﬁdence, and safety to be embedded into capital raising eﬀorts. Issuers get protection against investor complaints and lawsuits. Subject to the policy’s terms, investors can get their principal investment returned should the issuer misuse the funds, purposefully misrepresent information in their oﬀering documents or steal the money. There is no payment for CrowdProtector™ unless the online fundraising campaign is successful.